Assam Rifles Technical and Tradesman Recruitment Rally 2018-19 will be held from 28 Jan 2019 onwards for enrollment into Group B and C posts against 749 vacancies based on applications received from eligible male / female candidates for the trades/ posts .Those candidates whoa re interested & eligible for this Assam Rifles Recruitment candidates may check official notification and apply online before last date of apply. Brief information has given below. Age Relaxation available to different category of eligible candidates. Candidates should visit official website for more details. 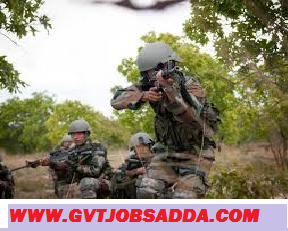 for more details candidates should visit Assam Rifles Recruitment notification & Read Post and qualification. To apply, fill up the online application by clicking on “ONLINE APPLICATION” option on the website. The candidates will fill the requisite details as prescribed in the application form. After the application has been filled up, the candidates has the option to make online payment via link given for online payment or alternatively the payment can be made at SBI Bank Counters as well. In both options the candidate will have to upload copy of the challan or receipt online. Candidates while reporting for PST / PET will produce original copy of payment receipt / challan for official records. In case of non submission of receipt / challan the application may be rejected. The candidates will also produce the printed copy of online Application Form duly completed and a copy of Calling Letter downloaded from the website, failing which the candidature of the applicants may be rejected. The online applications portal will be functioning from the day of publications of the advertisement to the last date of receipt of the applications.